It seems hard to believe that a spectacular house like Apethorpe could be forgotten, neglected, and brought to the verge of dereliction in the last fifty years. It is hardly situated in the wilds. It is only twelve miles from Stamford and that much-visited pile of the Marquesses of Exeter at Burghley House. But such was the tragic story of this magnificent Elizabethan house that by the year 2000, there were holes in the roof, the magnificent ceilings were in a parlous state, the panelling was riddled with rot and the facades strangled with creeper. One sole handyman looked after the place. It had passed from being the hunting lodge of James I, (there were at least thirteen royal visits between 1556 and 1636), to being a Borstal with graffiti-covered walls and utility buildings in the grounds. So popular was it, in its hey-day, that the owner, Sir Francis Fane, built a suite of state rooms for the specific accommodation of the King between 1622 and 1624. 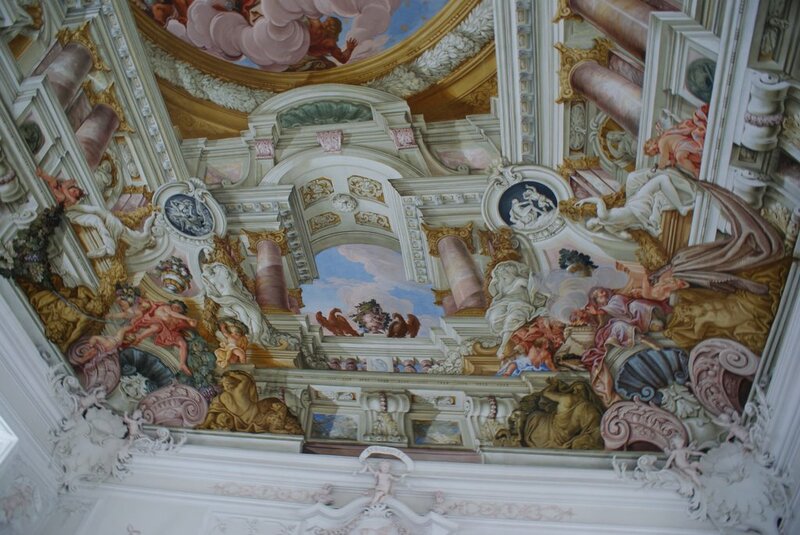 It is the size of an Oxford or Cambridge college built around two courtyards and exhibiting examples of the architecture of the 16th to the 18th century culminating in a Palladian wing built in 1740. Its history is the history of many an English Country House. Originally owned first by the Woolston, Mildmay, and Fane familes, Apethorpe saw over the years the diminishing role of the landed aristocracy and their ability to maintain such cumbrous inheritances. The Fanes, later Earls of Westmorland, high in court circles in the 17th, 18th and 19th centuries, carried out alterations in the 18th and 19th centuries, but finally had to sell in 1904 to the nouveau riche Brassey family. Rich not from land or court connections but from that icon of the 19th century, the railway. Travel Editions is the first British travel company to arrange visits to this remarkable survivor during their tour Country Houses of Northamptonshire and Lincolnshire between the 16th-19th July, and 20th-24th August 2017. We shall have a guided tour of the unfurnished but restored principal rooms as well as the adjacent church with a staggering 17th century tomb of the Mildmay family. 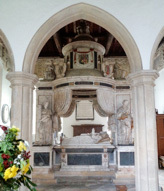 Nearby is the touching monument to the infant daughter of Lord Burgesh, heir to the Westmorland title. Here is a chance to see one of the great success stories of the recovery of a unique and spectacular “palace” until recently written off and discarded from our National Heritage. For full details of this tour, please see website www.traveleditions.co.uk or contact Nicholas Merchant, merchantn@btconnect.com who will be happy to advise you further. 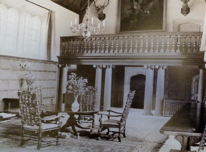 Apethorpe: The Story of an English Country House. Edited by Kathyrn Morrison. Yale 2016. Apethorpe: Articles in Country Life 7th/14th May 1898. See also extensive bibliography in Apethorpe: The Story of an English Country House. (as above).